We might not have the best track record as of late when predicting which teams will win their matchups, but we can’t pass up the chance to talk about the most exciting couple of weeks in professional football. 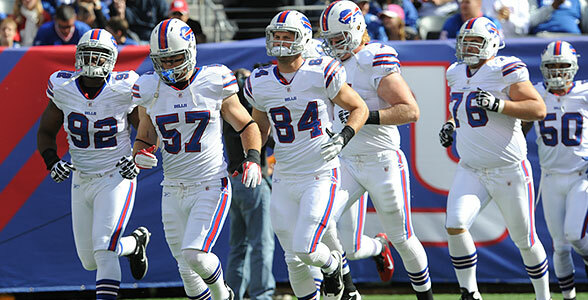 This Saturday, NFL teams are set to take stage for the opening round of the playoffs. Plenty of familiar faces are in this year’s crop of the top teams, but plenty of teams are making their long-awaited return to playoff football. 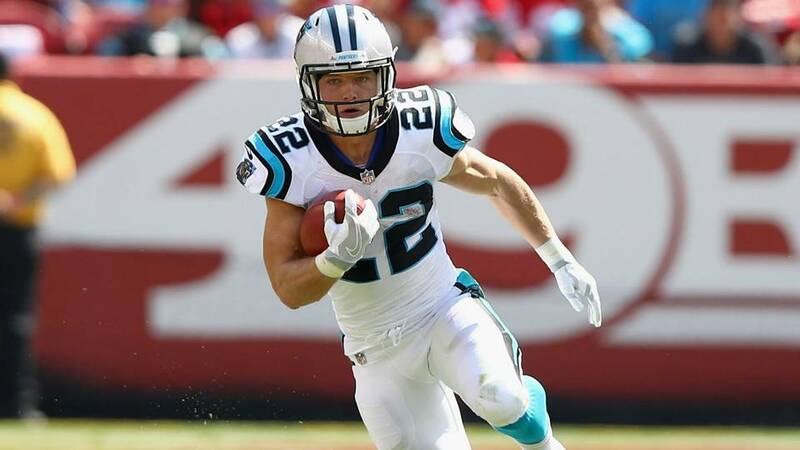 The Titans, Rams, Bills and Jaguars will all play this weekend for the first time in years (decades, for some), and the NFC South will send three of their four teams into the weekend’s fold. 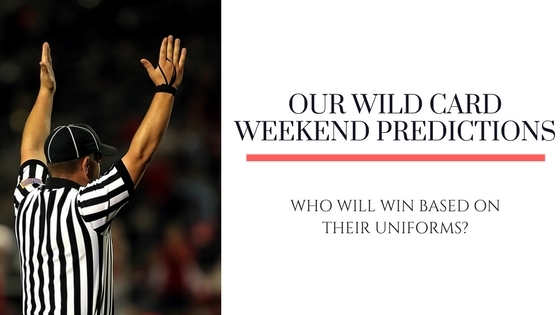 As we’ve done in the past, here are our predictions for the Wild Card games based on uniform matchups. A classic, untouched uniform pairs up against a very dated, 90s look in our first matchup. The Titans may have been trying to pay homage to their Houston Oiler past when they added light blue to their uniform, but the design hasn’t aged well. The game itself could be a toss-up even though Kansas City dismantled Tennessee in October, but uniform-wise there is no competition. Chiefs win in their beautiful cherry red and yellow combination. Fun side note: the Titans will be getting new uniforms next year. What do you think they’ll look like? Aesthetically, this game is a bit of an eyesore. 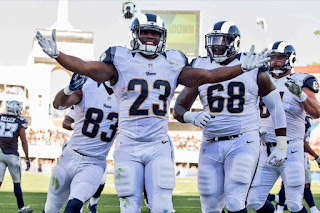 The Rams want to revert to their 1960s colors of navy blue and white, but due to league restrictions, they can’t do that without advanced notice so the NFL can sell off their old merchandise. That’s left them with a jersey that features random bits of gold – the last reminder of their “Greatest Show on Turf” days. They work around this headache by wearing white for most games, which means the Falcons will be trotting out in their red uniforms. Not a bad look by any means, but the uniform has too many superfluous lines and bits that have given it a dated, futuristic look. 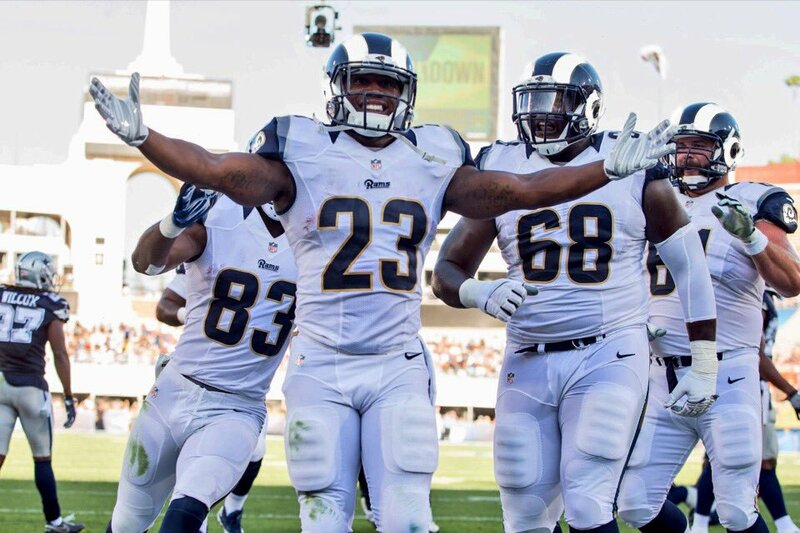 The Rams will continue their surprising success despite a patched together uniform. The Jaguars redesigned their uniforms several years ago to minimize teal and feature a two-tone helmet of gold and black that was supposed to symbolize a jaguar leaping from the shadows. The only problem is the gold portion is on the back of the helmet, which would mean the jaguar is leaping into the shadows. 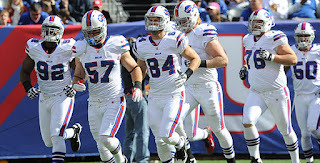 They’ll match up against a Bills squad returning to the playoffs for the first time since the 90s, wearing all white to commemorate the occasion. As far as the game goes, we think the Jags will win this one, but the uniform edge has to give it to Buffalo. How we feel about this game depends entirely on whether or not the Saints wear gold pants. Throughout football, teams look better when helmets match pants. For some reason, the Saints love to shelve their gold pants and wear an all-black look. 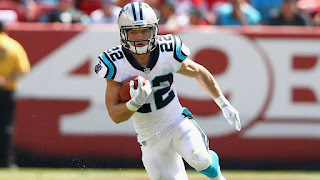 Despite the very dated look of the Panthers, we give them the edge if the Saints take the field without much gold in their uniform. 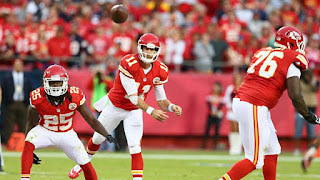 These predictions would have the Chiefs going on to face the Patriots, the Jaguars going on to face the Steelers, the Rams facing the Vikings and the Panthers facing the Eagles. Who do you think will make it out of the first weekend and into the second round? Do you agree with our uniform prediction bias? Sound off in the comments below.